Above is the Agile and Scrum process followed by NCoreSoft. We have a thorough due diligence procedure which helps us prioritize all the inputs we get from Customers, founders, managers etc. in a Product Backlog. 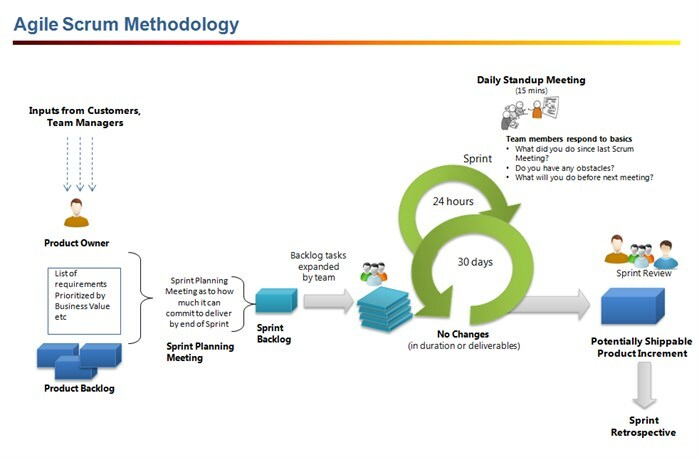 We have daily Sprints to setup milestones for each phase and parallel track the progress of project. Every 15 days we give Product demos so that client can actually see how their app is shaping up. Our parallel bug fixing helps us to achieve a fast turnover and development. We keep 2 environments staging and production mandatory. 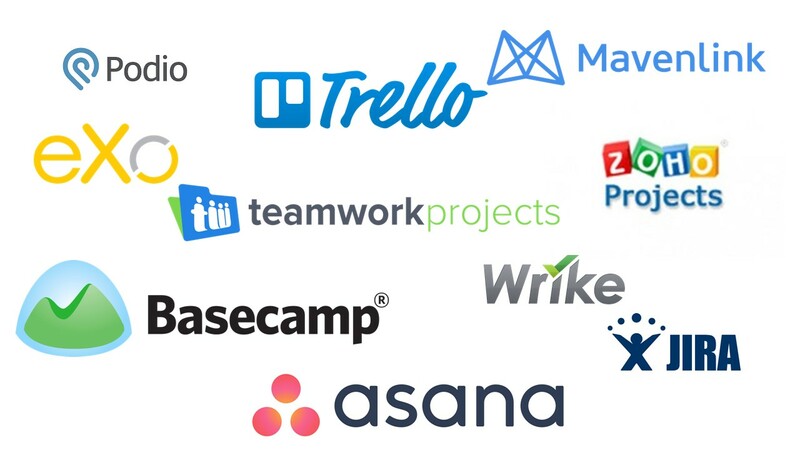 We have a record of finishing apps in less than estimate time some of which mobile apps are completed in less than a month wheras completed web application in less than 3 months. This has given has satisfied client retention rate as we save client’s money everytime. 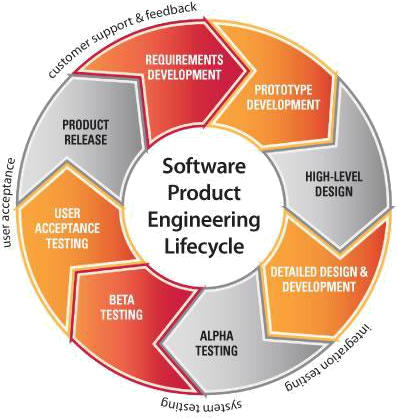 Requirements, Prototype, High-Level Design, Detailed Design & development, Alpha Testing, Beta Testing, User Acceptance Testing and Product release. We don’t charge for bug fixing for 1st 2 months if it is made from scratch by us.